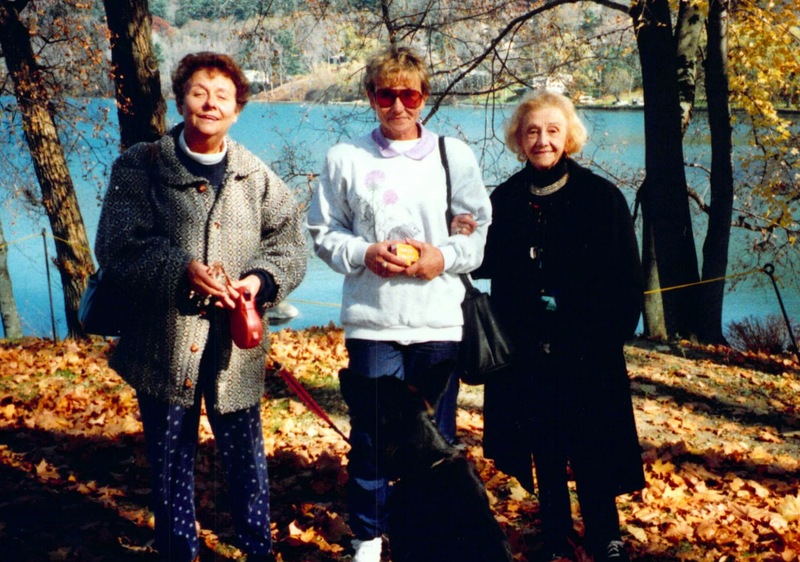 Left to Right: Joan Iversen, her sister, Dawn Danielson, and her mother, Jean McAtamney. Kali is in front. Thanks to all who have made the scholarship possible! My mom would have been so touched by all the people who gave to continue her legacy, to “pay forward” what she gave to each of us. Some of you know may that my dad, Jack Iversen, died last month, April 21, 2014. In his final days, he felt good knowing that her scholarship would be secured in the weeks following his death. We are continuing to accept gifts “to grow” my mom’s scholarship–as it grows it will provide more support to the Women’s/Gender Studies student who receives it. For this reason, I’ve changed the scholarship “goal” to $30,000, just because that’s a good round number. We also are beginning a scholarship in my father’s name, Professor Jack Iversen, to support a psychology major interested in pursuing a career in school psychology or alcohol/drug abuse prevention/treatment field, who also has demonstrated a commitment to social justice. To donate to either scholarship, see our Donate Now page – just specify in the memo either “Dr. Joan Iversen Scholarship” or “Prof. Jack Iversen Scholarship” to indicate where you would like your donation to go. Thank for helping to make it possible, Nicola! Thanks for all of your help with this, Dorlee, both in donating, and getting the word out!